Val-Larr wields the Solar Sword, a weapon which absorbs ambient light and enables its user to release it in the forms of blasts or strobes. In a realm such as Luminia, which is light poor, it is a potent weapon. In an Earth-like dimension, it quickly becomes overloaded with light, and it becomes a deadly threat to all around it, possibly eventually exploding with nova-like force. (Iron Man I#26) - Val-Larr was selected as the champion of champions to wield the Solar Sword, to defend the realm of Luminia, and to rally the forces of light against the forces of Shar-Khan and his shadow demons. (Iron Man I#26) - When the Collector captured Happy Hogan, planning to add the Freak to his collection, Iron Man convinced him to allow him to obtain an equally worthy replacement. 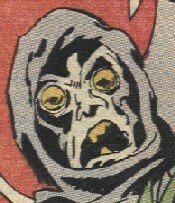 The Collector dispatched him to the realm of Luminia, but he was almost immediately beset by the Shadow Demons, who saw him as an enemy due to the light emitted from his chest plate. They damaged his chest plate and threatened to overwhelm him, but a reprieve came in the form of Val-Larr, who blasted the Shadow Demons off of the armored Avenger. Together, Val-Larr and Iron Man drove off the Demons. Val-Larr then explained the history of Luminia to him, but Iron Man--though it made him feel really guilty--demanded that Val-Larr surrender the Solar Sword to him. 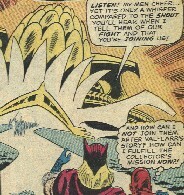 Suspecting Iron Man to actually be an agent of Shar-Khan, Val-Larr fought back savagely. Their struggle was observed by a pair of Shadow Demons, who realized with Val-Larr thus occupied, he couldn't use the Sword against them. They returned to Shar-Khan and notified him of this, and soon Shar-Khan was leading the forces of shadows in a full-scale attack. When Val-Larr was distracted by the sight of the Shadow Horde, Iron Man flattened him with a deadly two-handed wallop. 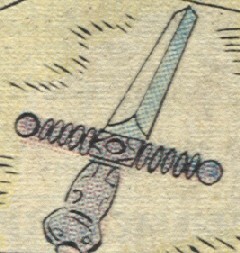 Iron Man returned to the Collector and gave him the Sword, but while the Collector did release Happy (and Pepper, too), he then proceeded to use the Sword to try to recapture the lot of them. However, suddenly the Sword began to glow brightly and lash strongly, and the Collector found himself unable to release it. The Collector begged Iron Man for help, and when the Collector had promised to honor his requests, Iron Man brought him and the Sword into the realm of Luminia. 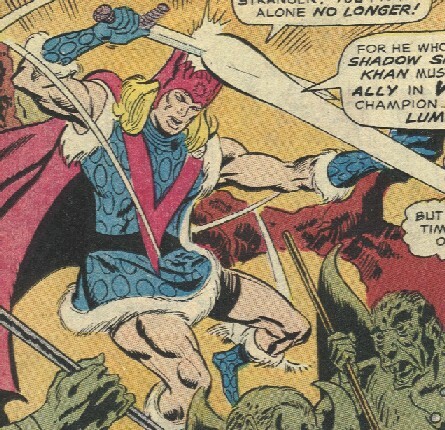 Iron Man gave the Sword to Val-Larr, and its amplified energies were channeled forward in a blast that nearly unseated Shar-Khan and forced him to lead his horde in flight. By the time Val-Larr turned to give his tentative thanks to Iron Man, both he and the Collector were gone, returned to the Earth dimension. Comments: Created by Archie Goodwin and Don Heck. 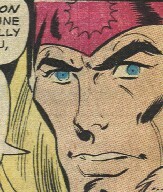 Good thing the Collector betrayed Iron Man, or Stark would have been responsible for the slaughter of Val-Larr and the people of Luminia, when Shar-Khan and his forces overran them! That's the difference between Iron Man and most other heroes. 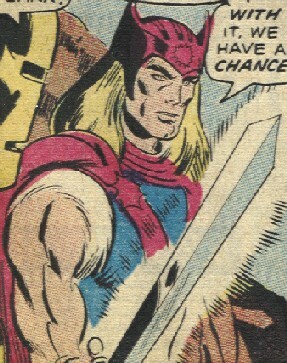 Cap or Spider-Man would have been much less likely to actually take the Sword. They would have found another option...in most cases. If the Collector hadn't betrayed Iron Man, Iron Man would have kept the letter of his word to the Collector, but once his friends were safe, overpowered him and returned the sword to Val-Larr. It wouldn't have been the first time Iron Man had thusly "kept a deal" with a murderous villain; see his first battle with the Unicorn in Tales of Suspense I#56. DARKFORCE DIMENSION - source of the enigmatic form of energy--Incredible Hulk II#126?, Iron Man I#109? Last citadel of light within a dimension of perpetual darkness, its natives struggle to maintain its light and to fight off the evil within the shadows, specifically the Shadow Demons under the lead of Shar-Khan. The other citadels of light fell before the growing ranks of Shar-Khan, but as the fist of darkness tightened around Luminia, its scientists created a counter-weapon: the Star Sword. Molded from a rare element, exhausted in its making, the blade was given to a champion of champions, Val-Larr, who used it to rally the forces of light for a last stand. The rest of the forces of Luminia wield less powerful Lances of Light, which can still pain the shadowy beings who would attack their world. Luminia is an alien world, though its physical properties are essentially Earth-like (with the exception of decreased levels of photonic energy). It is typically accessed via vibrational attunement. The people of the city of Luminia are human in appearance. It is not known whether they possess any additional physical abilities. Val-Larr's strength may come entirely from the Solar Sword or he may be of abnormal power. Formerly a barbaric race dwelling in the shadowy majority of the realm surrounding Luminia, they were welded into a single disciplined force by the wizard Shar-Khan. 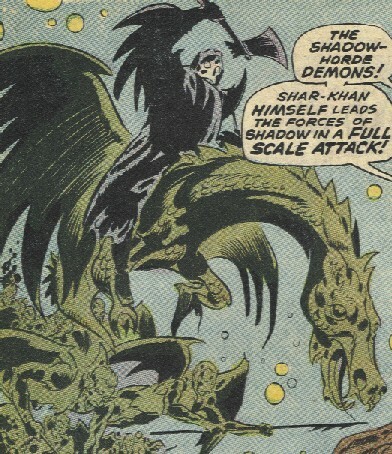 They can fly via the wings on their backs, and they wield a weapon devised by Shar-Khan: the Shadow Spikes. When they touch a victim with their Shadow Spikes, the victims are transformed into shadow demons, and join the very ranks of those they once fought. Wizard-Lord of the shadowy portions of the realm outside Luminia. He welded the loose barbarian hordes of the Shadow Demons into one disciplined force, and he armed them with the deadly Shadow Spike. He led his horde to overwhelm the other citadels of light, leaving only Luminia. However, before his forces could overcome it as well, Lumina's scientists developed the Solar Sword, which its champion, Val-Larr, used to rally its forces, and hold off its attackers. 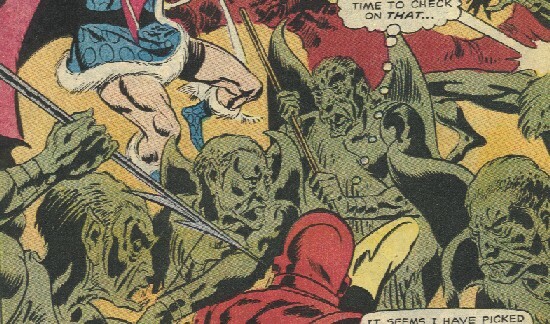 When Val-Larr fought against Iron Man for possession of the Solar Sword, Shar-Khan led his shadow horde in an all-out assault against Luminia. 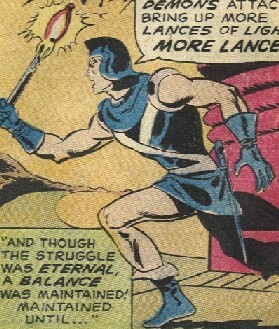 After Iron Man had taken the Sword, Shar-Khan himself shattered Val-Larr's Lance of Light and prepared to finish him off. However, Iron Man returned the Sword at the last second, and Val-Larr unleashed a powerful blast that forced Shar-Khan to take his forces and flee. Shar-Khan possibly can manipulate the Darkforce. He rides a winged lizard-beast and carries a black battleaxe which can shatter a Lance of Light. He created the Shadow Spikes.